Written Tycoon maintains his position in 2nd place on the Australian Sires Premiership (by winners) with 80 winners for the season thus far. In Hong Kong on Sunday, his son New Asia Sunrise, saluted while the star Woodside Park sire also had winners in Adelaide, NSW, Albury and Kyneton over the weekend and an impressive 2yo winner, Hot Dipped in Launceston mid-week. Riverbank Farm sire Von Costa De Hero continues to get winners around Australia. He had 2 wins in 2 days this past weekend as Von Costa De Hero won at Geelong on Sunday for Ballarat trainer Archie Alexander while Chappo De Hero won at Lismore on Saturday. A great result for Ray Jones and his Victorian sire Delightful Choice at Launceston last Wednesday evening with Greenmount Lass (by Delightful Choice) winning in her 2nd start. Delightful Choice covered 34 mares this past season which was almost double what he did in 2014. The Group 1 Australian Guineas at Flemington is a big target for no less than 29 Victorian bred or sire three-year-olds. 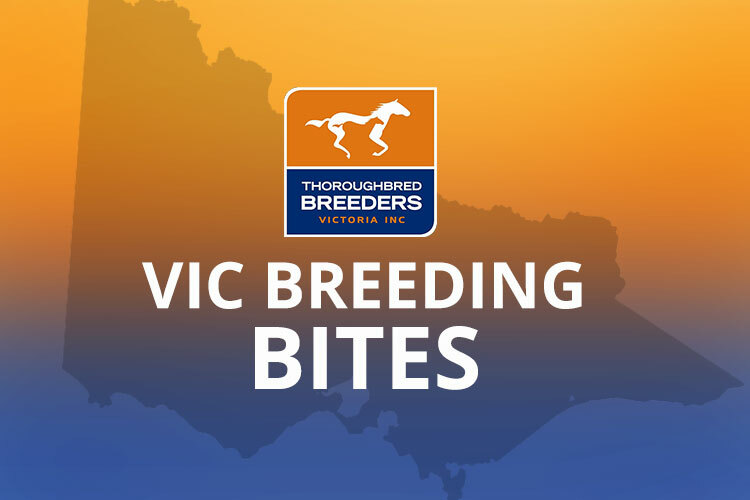 Fifteen Victorian sires are represented among these entries. Equiano, Written Tycoon and Reward for Effort all have two entries. Entries include VRC Oaks winner Jameka (bred by Gilgai) & the dual stakes winning son of Reward for Effort, Gold Symphony. Twenty-four Victorian sired 2yos (by 17 sires) still hold the dream of making the Group 1 Golden Slipper. They include hot favourite and Magic Millions Classic winner Capitalist (by Written Tycoon). Rich Enuff, a Group 2 winning son of Written Tycoon, had an impressive trial win in Sydney last week under new trainers, Peter & Paul Snowden. With a post race career at Woodside Park beckoning, connections are determined to snag an elusive Group 1 victory in the autumn. Return to Justice won well at Mornington for local trainer Matt Laurie Racing, the principal trainer for breeder/owner Lucky Racing (managed by Robert Ng). He is the third winner from just five runners for multiple Group 1 winning sire Daliapour (also owned by Mr Ng). Daliapour stood at Rosemont Stud until passing away last year (after three seasons at stud). King’s Command, bred by Makybe, beat the favourites and won at Flemington for owners Spicer Thoroughbreds and trainers Corstens/Malua Racing. He was purchased for $190,000 at the Inglis Melbourne Premier Sale. It was a good day at Kembla races on Saturday with multiple wins to Victorian bred horses including Spanish Stride (bred by former VRC CEO Julian Sullivan), Lani Girl (Makybe) Junoesque (bred by Tarcoola Stud) and Global Glamour (Lauriston Thoroughbreds). Contract Racing’s homebred heroine Solicit returned to racing at Rosehill on Saturday running 2nd in the Group 2 Expressway Stakes. The Gerald Ryan trained mare’s key aim this preparation is securing a Group 1 victory. The Hawkes Racing trained Onerous won at Flemington on Saturday first up this preparation. He is by former Swettenham Stud sire Dash for Cash and is a sibling to stakes winners Arinosa and Sweet Sherry. Swettenham is selling his full brother at the upcoming Melbourne Premier Sale. Sirbible wins in city again! Sirbible, a son of Greta West sire God’s Own continued his good city racing form with a win at Morphettville. He is now returning home to Alice Springs with trainer Russell Bell.